PDF (Portable Document Format) is a file format developed by Adobe which is independent of application program, operating system and hardware. Now, it becomes the most commonly used document files format for our daily life and work.with the popularity of PDF file, PDF file loss becomes a prominent problem. So how to recover deleted pdf files? A PDF file will get lost on your computer due to different reasons. If you just mistakenly delete PDF data on your computer, you might simply restore it from recycle bin. However, if the deleted PDF data was not moved to recycle bin, you need to rely on data recovery software.Bitwar Data Recovery is a fast, reliable and free trial data recovery software with powerful functions.Free download it to recover PDF images, photos and pictures lost due to accidental deletion, hard drive formatting, RAW disk, system crash and other reasons in simple steps: http://www.bitwar.net/data-recovery-software/. Remember not to save data and program to the partition which you want to recover lost pdf files. Step1: When Bitwar Data Recovery installation is complete, Launch this wonderful software and select ”Delete File Recovery”. Step 2: Select the disk partition or storage location and click "Next". Select the document types when you want to recover pdf files back. Then click on the button "Next" to start scanning. Step 3: Now, Wait for a few seconds. You will see all missing pdf files that match the selection will be listed. you can make a selective recovery with Preview before recovery to determine which one you want. select the files and click "Recover" button to retrieve PDF file back. Here, you'd better save all the recovered files on a different partition or device in case of data recovery failure. Besides PDF file recovery, Bitwar Data Recovery is also able to recover lost word files or recover lost excel files, photo images, etc. 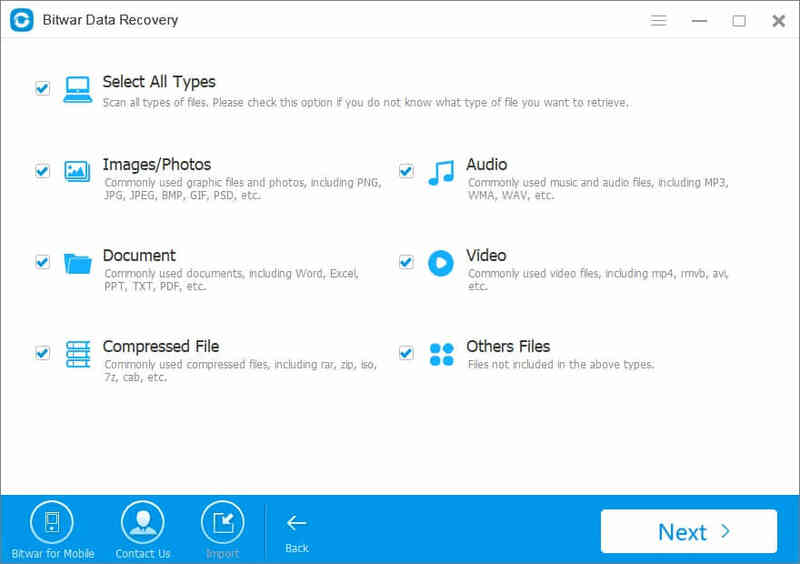 Therefore, you can use this data recovery software on any Windows computer when PDF files got lost in various situations. Previous：What kind of a data recovery software that can recover all file types?